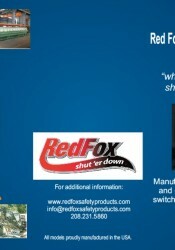 Red Fox Enterprises | "when you gotta shuter down" Red Fox Enterprises | "when you gotta shuter down"
Red Fox is devoted to your safety. Whether you are a family farm or large corporation, Red Fox can meet the needs of you, your family, and your employees. We are committed to keeping machinery and vehicles, which can otherwise be dangerous, secure and controlled. Using our Fox-Paws, any piece of machinery or vehicle can be remotely turned off with the push of a button. With the addition of the Fox Tracker, help can be notified if you have been injured or need assistance. Introducing remote wireless engine motor shut down (Remote Kill Switch) through Fox-Paws. 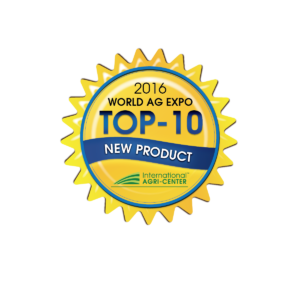 It’s a name we’ve given to a transmitter-receiver unit that accomplishes wireless remote engine/motor shut off in equipment for farms and industry. The little transmitter is clipped to your shirt pocket or on your belt. The receiver unit is on the piece of equipment you are operating. You want or need to shut off the engine or motor, just push the transmitter button. That’s it. Great safety equipment to ensure that people working with equipment do not have to worry about farm equipment accidents or construction equipment accidents.